More than 50 cases of violence against Christians in nation that threatens to restrict churches. 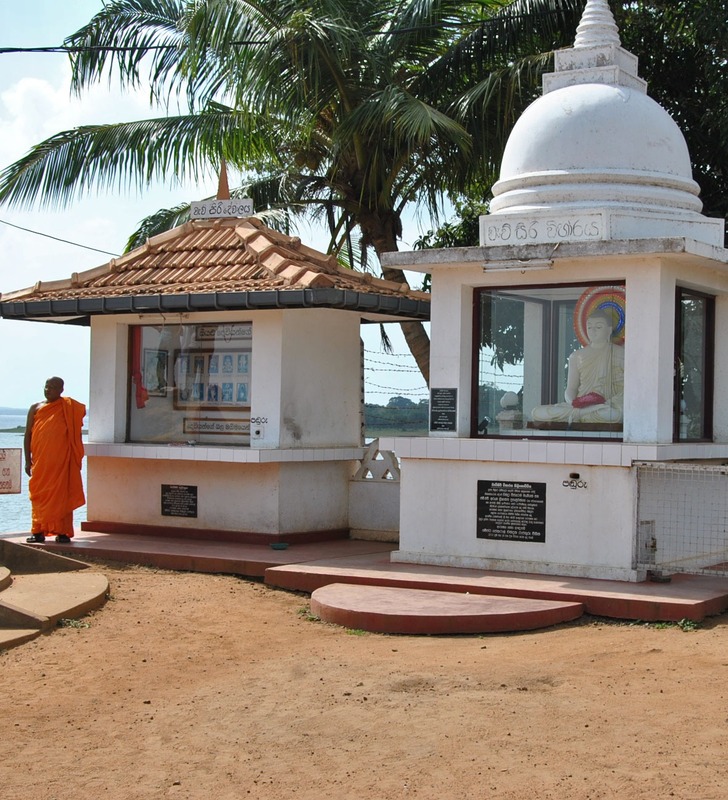 Buddhist shrine in Kilinochhi, Sri Lanka. NEW DELHI (Morning Star News) – A mob of about 1,000 people in southern Sri Lanka, led by Buddhist monks, protested the presence of a church by overpowering police, vandalizing property and beating the pastor on Sunday (Dec. 9), Christian sources said. The Buddhist monks had given a day’s notice for the church to close down. About 80 monks led the multitude as they stormed the Jeevanalokaya Sabhawa church in the Weeraketiya area of Southern Province’s Hambantota District during worship on Sunday morning, a reliable Christian source in Colombo told Morning Star News by phone. The attackers destroyed the church’s furniture, equipment and vehicles and assaulted the pastor, identified only as Pradeep, and two police officers, said the source, who requested anonymity. The pastor was hit with a rock and suffered injuries in his lower abdomen, but he has not been able to go to a hospital for treatment as some of the attackers are monitoring him, the source added. No one had been arrested at press time. The church estimates the damage to be around US$4,000. The two police officers, who were also injured, were among eight policemen deployed to monitor the demonstration against the church. After the attack, authorities called in more police as well as the military to prevent the mob from causing more damage. The day before the attack, local Buddhist monks visited the pastor and told him that permission from Buddhist clergy was needed for Christian worship, the source said. The pastor replied that freedom of religion is enshrined in the country’s constitution. The monks, however, insisted he close down the church or face destruction. The latest attack follows similar assaults in Deniyaya earlier this year, which took place with support from powerful political officials, he added. 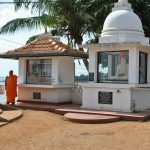 On Aug. 19, Buddhist monks forcibly occupied the premises of a Seventh-day Adventist church and converted it into a Buddhist temple in Deniyaya town in Southern Province’s Matara District. On Aug. 27, a mob of about 100 people beat two of the church’s leaders outside the Deniyaya Police Station for reporting the incident to the police. On Aug. 9, a mob attacked the pastor of an Assemblies of God church, as well as his wife and a female worker of the Methodist Church in Deniyaya. More than 70 percent of the 20.4 million people in Sri Lanka are Buddhist, mostly from the dominant Sinhalese ethnic group, according to Operation World. Christians are estimated to be 8.4 percent of the population, with more than 40 percent of Protestant Christians from the minority (nationally) Tamil ethnic group. Some right-wing Buddhist groups promote Sinhalese Buddhist nationalism and portray religious minorities as a threat. 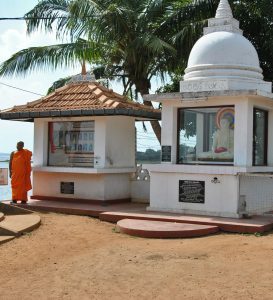 The Colombo-based Buddhist Power Force (Bodu Bala Sena) recently held a meeting in the Raja Maha Vihara area of Nawina Maharagama, in Central Province, to “re-awaken” Sinhala Buddhists to the “threats” by Muslim and Christian minorities. The National Heritage Party (Jathika Hela Urumaya), an influential political party led by Buddhist monks and part of the ruling coalition, has been pushing for a law against Christian conversions for many years. “Sri Lanka’s Ministry of Religious Affairs recently issued a circular saying the functioning of churches needs to be restricted,” another source from a national Christian confederation said. The circular, which seems to target non-traditional Protestant groups, is not yet law but would require all churches to register with the government to be able to function legally, the source said. “There’s a move to regulate, monitor and even define what a church is by the state,” the source said. © 2012 Morning Star News. Articles may be reprinted with credit to Morning Star News.